Many people are going about their daily lives without giving much thought to their poor posture and spinal mis-alignment; let alone the health problems that are associated with it. 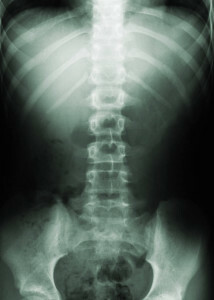 While most spinal misalignments come on gradually as a result of improper postural habits, poor diet, or poor lifestyle choices, sudden mis-alignments (caused by accidents or injuries) are what worries people the most, and prompts them to go see a chiropractor or physical therapist for a fix. The reason is that these sudden mis-alignments are associated with direct and obvious symptoms that the person can readily recognize the link between their new / increased symptoms and the injury. Unfortunately it’s those gradual or long standing misalignments that can become dangerous if left untreated and uncorrected. Poor posture and spinal misalignment puts unnecessary and relentless pressure on your muscles, ligaments, joints, and discs in the spine. But its the pressure / stretch on the delicate nerves in the neck and back that is most troublesome; these same nerves are responsible for transmitting vital information and energy to all the limbs and body organs from the brain. Any amount of nerve interference will therefore diminish the flow of nerve energy to the limbs and organs, leading to disease and other major health complications. In addition to the above obvious signs, you should realize that unexplained health conditions (where you’ve been told to just live with it or take medication for the rest of your life) are likely linked to your poor posture and spinal misalignment. If you are suffering from any of these symptoms, you owe it to yourself to see a a spinal specialist or licensed physical therapist for evaluation and treatment. Masking these symptoms on your own with caffeinated drinks, pain killers, mattresses, or whatever the latest fad is, isn’t going to put the spine back into alignment. Once you have a diagnosis as to what is going on in your spine and it is safe to exercise, Pilates can be a great way to strengthen your deep core muscles, and change your posture. Find a Pilates instructor with knowledge of spinal injuries and treatment for the best results. Start privately first so a plan can be made for modifications if you plan on attending a mat class.